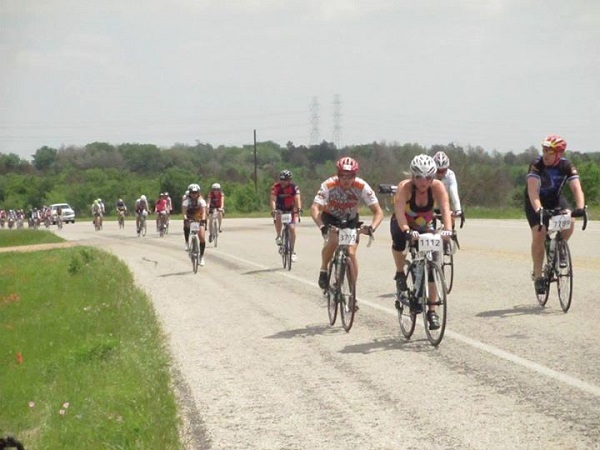 Interested in riding the BP MS150 2019 and need a team to train with here in Houston? Even if you are not riding the MS150, this is an incredible opportunity to do several (about 12) fully supported rides! Bayou City Outdoors makes the Houston to Austin BP MS150 easy! We'll help you train, find riding buddies, ride safely, raise funds and we'll support your ride on the day of the event. There are so many benefits along the way, too. You'll get in shape, meet new friends, and have the ride of your life! -Joining a team takes a lot of the guesswork out of the process. Training rides, a jersey, tips, and friends are the foundation of making the MS150 a successful and fun ride. BCO Training Rides RSVP. - It’s very important to get practice riding with others, not just for ability but also to feel comfortable in a group. Feeling comfortable and riding with a group can make all the difference in having a terrific or a terrible MS150. Practicing and learning the etiquette is important (space between riders, hand gestures, using your voice, etc.) Moving through the pace line, keeping a steady pace while at the front, and learning how to safely draft in the middle of the pack may sound pretty intense, but once you do it a couple times, it'll be a piece of cake. -There is no expected speed a rider is supposed to maintain. Remember, this is for fun! Some groups might average 25 MPH while others bop along with friends and family at 10 MPH. Slow and steady finishes the ride. You will be set up to take off at your desired pace. -Riders line up according to the speeds they expect to ride with the fastest group at the front. Some folks ride to see how fast they can finish while others just try to finish or improve from last year. Remember to start at a pace that is comfortable for you, starting the ride too fast will result in regret. -A safety helmet is required, no headphones or cell phones are allowed when riding. Riders must obey all traffic signs and rules. - Eat carefully at rest stops. Power bars and fruit are popular MS150 snacks that keep riders going. 2 water bottles are essential to have on the road, too. -Make sure you have good biking shorts and a comfortable saddle. Wear and try them out while training, it helps get your hind parts ready for being on a bike for an extended period of time. -Bring spares of everything if you can. Shoes, socks, helmets, tires, gloves, etc. -SAG- Support And Gear- is a vehicle that provides support for riders. Not only will they carry supplies, gear, food and water for you, but they'll even rescue you if you really need or want it. If you bonk and lie in the grass in a fetal position yelling for “mommy,” SAG will scoop you and your bike up off of the ground and take you somewhere safe. And by safe we mean hopefully a Dairy Queen :). Congratulations to Bayou City Outdoors for getting the GREEN TEAM AWARD from the MS Society!! Our Captains will be leading training rides, providing the team with information, and ensuring the overall safety of our team. You can contact them with questions regarding training rides and the actual MS-150. 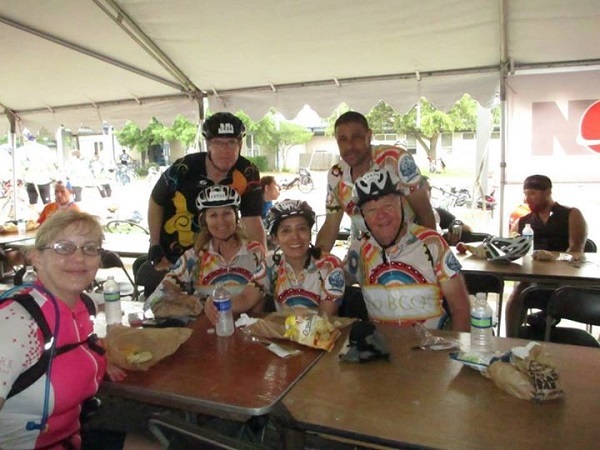 They are available to help Bayou City Outdoors' MS-150 team members successfully and safely complete the MS-150 ride. 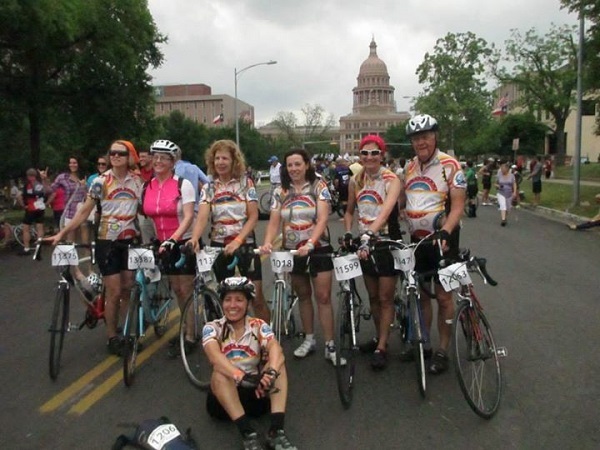 You want to ride the MS150 Houston to Austin to benefit multiple sclerosis but you have no idea when, where, what, why and most importantly, how to start preparing. Have no fear! MS150 Team Bayou City Outdoors is here to help. 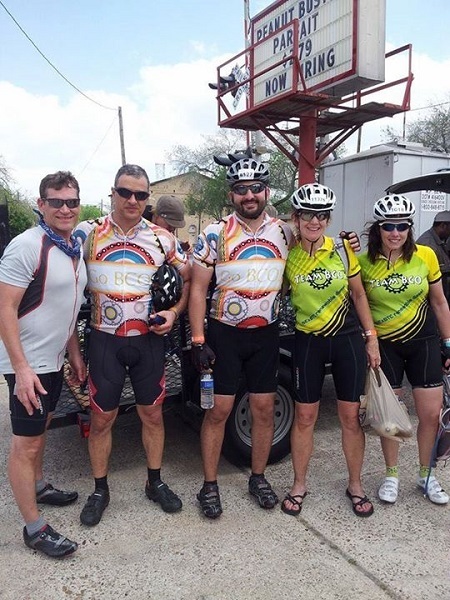 The BP MS150 is a two-day fundraising bike ride organized by the National MS Society to raise funds and awareness. 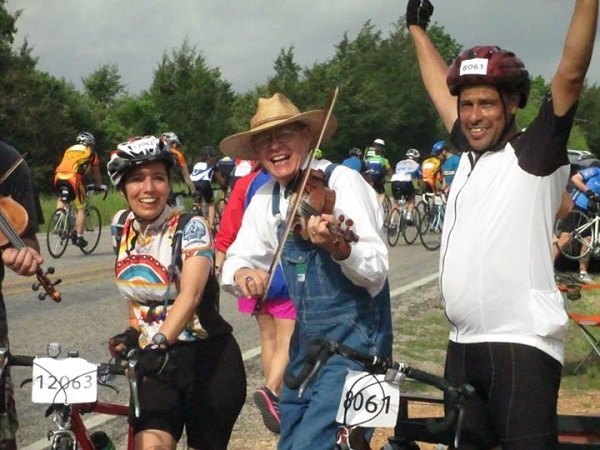 Although the MS150 is a ride that takes place all over North America, we have the largest event of its kind right here in Houston with over 13,000 cyclists, 3,500 volunteers and hundreds of spectators all along the route and at the finish line in Austin. 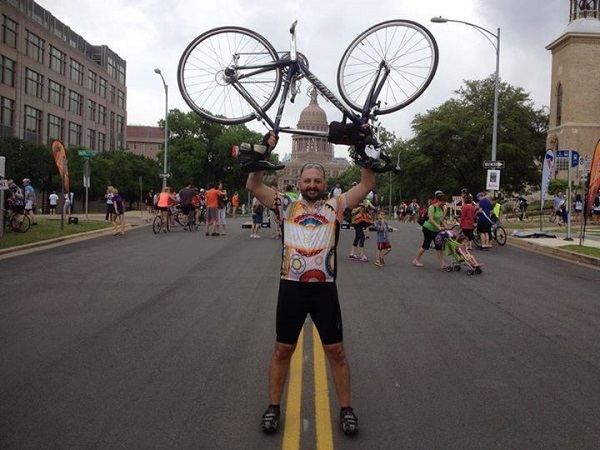 In 2014 the MS150 hit a new milestone by raising $20 million dollars for those living with multiple sclerosis. Not only does the 160 mile trip from Houston to Austin get you in shape, but it’s for a tremendous cause. General early Rider Registration is $75 and then each rider is required to raise at least $400 in pledges. Recommended Rides are rides that are recommended by the BP MS150. Fees are generally required for these rides, and BCO may or may not participate in them. Check the calendar for the list of rides that we will be participating in.